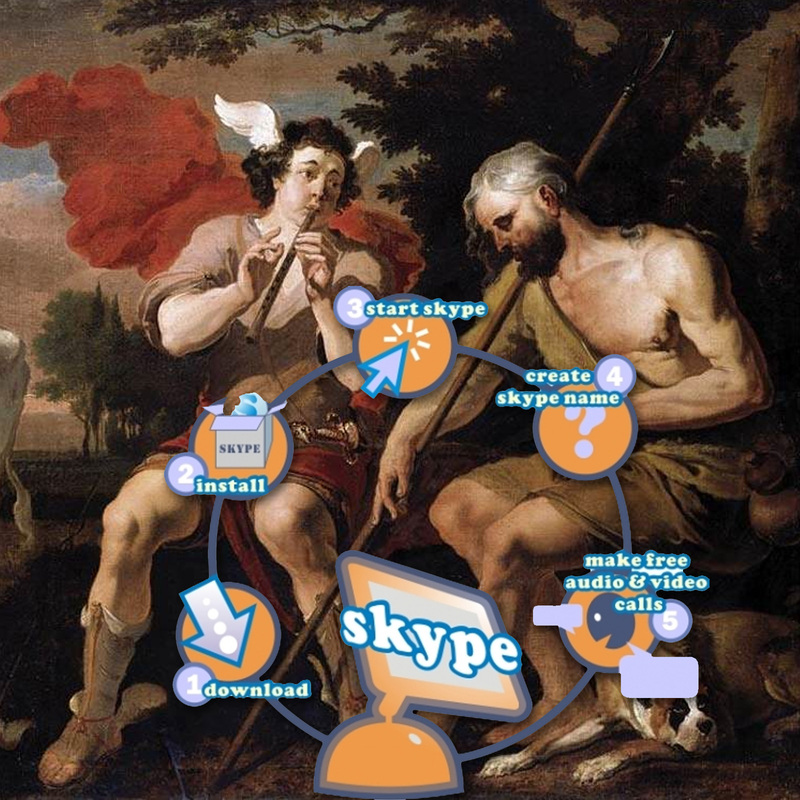 SKYPE is OUT TODAY… wednesday 22 december 2010 around 18:00 hours Amsterdam time. A storm of notifying Twitters whirls over the Internet while millions of users are left to wonder. Quick & Swift Messengers are no godlike beings like the god Mercuy or the all powerful Hanuman. Cable networks, data distribution centres and many more things need to function perfectly to make the being here & there at the same time possible. Ardent lovers will not be affected they will switch over – with ease – to telepathy. Peer-to-peer (P2P) applications are consuming a significant fraction of the total bandwidth of Internet service providers (ISPs). The increasing P2P traffic is becoming a financial burden to the ISPs and if not well addressed may lead ISPs to block or put strict rate limits on P2P traffic. We address this important issue by proposing a new framework, PCP, for designing P2P applications that smoothly fit into the global Internet. In the framework, an ISP decides on how much of its bandwidth is to be allocated to P2P applications, and P2P nodes inside the network query the allocated bandwidth and adopt a peer-friendly algorithm to fairly share the allocated bandwidth. 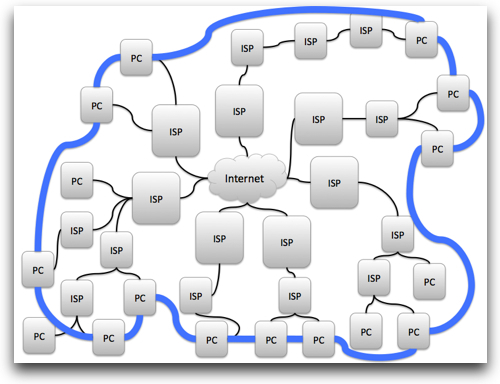 How PCP can help both ISPs and P2P? Using the typical percentile-based charging model widely used in the Internet and real traffic traces, we show that an ISP can allocate a large amount of bandwidth to P2P traffic without increasing its financial cost. We also show that a distributed, peer-friendly algorithm can be implemented to share the allocated P2P bandwidth. It has been increasingly popular to build voiceoverIP (VoIP) applications based on peertopeer (P2P) networks in the Internet. However, many such VoIP applications freeride the network bandwidth of Internet Service Providers (ISPs). Thus their success may come at a cost to ISPs, especially those on the edge of the Internet. Their performance may degrade if ISPs take proactive measures to prevent freeriding. Using largescale end-to-end measurements, we first conduct a systematic analysis of Skype supernode network. We then investigate the impacts of the access capacity constraint and the AS policy constraint on the VoIP quality of Skype. We show that even when freeriding is no longer possible for only 20% of supernodes that are located in stub ISPs, the overall VoIP quality of Skype degrades significantly, and a large percentage of VoIP sessions will have unacceptable quality. This result clearly demonstrates the potential danger of building VoIP applications based on P2P networks without taking into account operational models of the Internet. 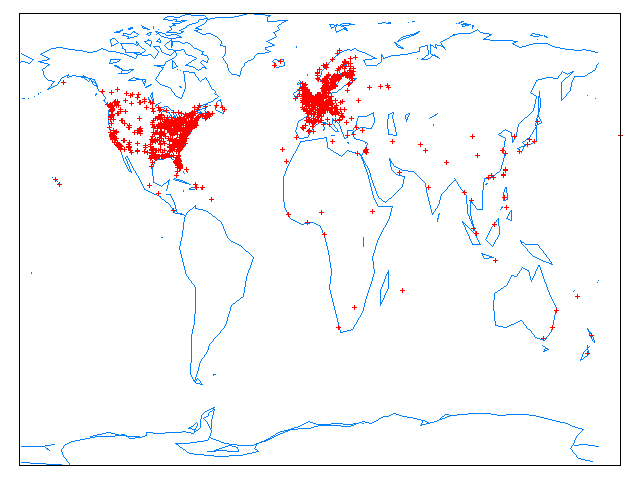 Time diversity in traffic patterns can be used to be (implicitly) ISP-compliant. We show that when using time diversity in traffic patterns in choosing supernodes, about 75% of supernodes in stub ASes can still be active after using time diversity in the experiment; as a result, about 15% of previously inactive supernodes become active, leading to approximately 60% increase in the relay capacity, which results in the observed VoIP quality improvement. Skype uses a P2P connection. Should ISP’s start limiting P2P traffic, it would make those calls worse. Obvious really, fits in a tweet. Why all the fluff? That is what came up in my fluffy mind, which then led me to study a bit more why the SKYPE system failed and if this was just an incident or structural… for the rest I prefer to pour my fripperies into the blog and facebook containers and do not use Twitter directly myself. This is far too many words for a response (I know). Hey, its your blog, you can say/do/post whatever you like mate! Was inanely curious as to whether your obfuscation was deliberate or accidental. Nice word “Fripperies”, haven’t seen that in context for ages!